The Ballpark Freudenau is prominently located in the south-east end of the Wiener Prater near the Hauptallee (main avenue) and the Lusthaus. The very first season was played in 1989 on former scoccer fields. 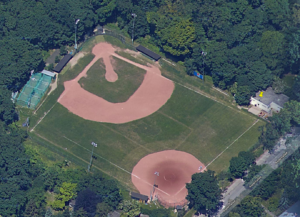 In 1994, members of the AIBC and the WBSV constructed the first baseball diamond. A second diamond was constructed in 1996. The clubhouse was build in 2003 with support from the City of Vienna and substantial sponsoring by private companies. In 2004 professional baseball flood lights were added. Also at that time the baseball infield was renovated. Backstops have been renewed in 2008 and a scoreboard was installed in 2009. 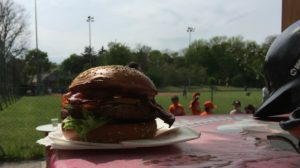 The field is leased by the City of Vienna to the AIBC. All funds are provided by the AIBC through membership fees, courses, concession stand and fees by other teams. Also funds by private companies are important for the AIBC to finance maintenance and improval of the field and clubhouse. 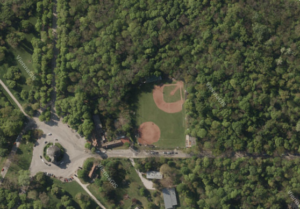 With the separate softball field, the field can be used for baseball, softball and youth games of all ages. 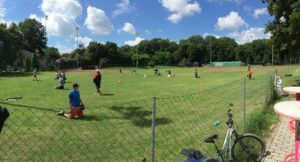 The ballpark is used by several teams in Vienna, as Freudenau is one of only two ballparks in Vienna. During baseball season (April-September) the field is used almost to 100% on weekends and on weekdays in the evening. The AIBC is a nonprofit organization which was found in 1989 by members of the U.S. embassy in Vienna, Austria. Founding members came from international organizations in Vienna, including the United Nations, IAEA, OPEC and international private companies. The program has an international focus with kids from up to 30 nations participating each year. Spring season usually starts in April and ends in June. The program is run entirely experienced volunteers who are there to show beginners what the game is about, hone the skills of more experienced kids and, above all, ensure that everyone HAS FUN! Up to 400 children have participated in the youth program each year.